Kajal Aggarwal is one of the leading actresses of South Indian film industry. The beautiful actress has gained huge popularity not because of the success of her South Indian films but of Bollywood films as well. Over the course of years, Kajal Aggarwal has given many blockbuster Indian films. Here is the list of Hindi dubbed movies of Kajal Aggarwal. Pazhani (2008) is an Indian Tamil action film directed by Perarasu with Bharath in the lead role with Kajal Aggarwal and Kushboo as heroines. It was a box-office success and dubbed in Hindi as ‘Shaktishali Shiva’. Plot: Pazhani disguises himself as a servant and works at his sister’s house to expose her husband’s illegal businesses. Lakshmi Kalyanam (2007) is a Tollywood action drama film directed by Teja. Nandamuri Kalyan Ram and Kajal Aggarwal played the lead roles. The film was declared a flop at the box office and was dubbed in Hindi as ‘Meri Saugandh’. Plot: Ramu loves Lakshmi, whose father is the president of the village. In order to win his love, Ramu must win a challenge posed by a rivaling village and beat Giri, who is also keen on marrying Lakshmi. Magadheera (2009) is an Indian Telugu-language romantic-action film directed by S. S. Rajamouli. The film stars Ram Charan and Kajal Aggarwal, while Dev Gill and Srihari appear in prominent roles. It was a hit film and dubbed in Hindi under the same title ‘Magadheera’. Plot: Harsha is falsely implicated for killing Indu’s father and she too is kidnapped. But Harsha and Indu share a bond from a previous life, and when he realizes this, he sets out to set things straight. Ganesh Just Ganesh (2009) is a Telugu-language family film directed by Saravanan. Ram plays the lead role, with Kajal Aggarwal. The film was an average and dubbed into Hindi as ‘Kshatriya – Ek Yoddha’. Plot: Ganesh pretends to love Divya so he can help out a friend; she is hurt when she discovers his betrayal but by that time Ganesh truly falls in love with her. He now has to convince her of his love. Arya 2 (2009) is a Telugu action-comedy-romance film directed by Sukumar. Allu Arjun and Kajal Aggarwal play the lead roles while Navdeep and Shraddha Das play supporting roles. The film was a blockbuster and dubbed in Hindi as ‘Arya: Ek Deewana’. Plot: Twins Ajay and Arya are orphans. When Ajay gets lucky and is adopted by a rich family, he employs Arya in his software company. However, problems arise when they both fall in love with the same girl. Darling (2010) is an Indian Telugu-language family drama film, directed by A. Karunakaran. The film stars Prabhas and Kajal Aggarwal in the lead roles while Tamil actor Prabhu Ganesan plays a key role. The film received positive reviews from both critics and the audience and was a blockbuster at the box office. It was dubbed in Hindi under the title ‘Sabse Badhkar Hum’. Brindavanam (2010) is a Telugu romantic comedy film starring N. T. Rama Rao Jr., Kajal Aggarwal and Samantha Ruth Prabhu in the lead roles while actors Kota Srinivasa Rao, Prakash Raj and Srihari play other pivotal roles. It was a hit movie and dubbed into Hindi as ‘The Super Khiladi’. Plot: Indu asks her boyfriend Krishna to help her friend Bhumi. Krishna pretends to be Bhumi’s lover but realizes that he will need to make bigger efforts to melt the hearts of a large feuding family. Mr. Perfect (2011) is a Tollywood romantic comedy film directed by Dasaradh Kondapalli, starring Prabhas, Kajal Agarwal and Taapsee Pannu in the lead roles, while actors Murali Mohan, Prakash Raj, Sayaji Shinde, Nassar and Viswanath Kasinadhuni play other pivotal roles. The film eventually became a box-office blockbuster. It was dubbed in Hindi under the title ‘No.1 Mr. Perfect’. Plot: A modern-minded software expert who refuses to compromise on his values becomes engaged to a young woman who is both conservative and traditional in her ways. 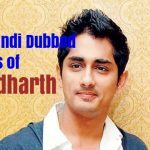 Dhada (2011) is a Telugu-language action-romance film directed by Ajay Bhuyan. The film features Naga Chaitanya and Kajal in the lead roles. The film received negative reviews and was a box-office failure and was dubbed in Hindi under the same title ‘Dhada’. 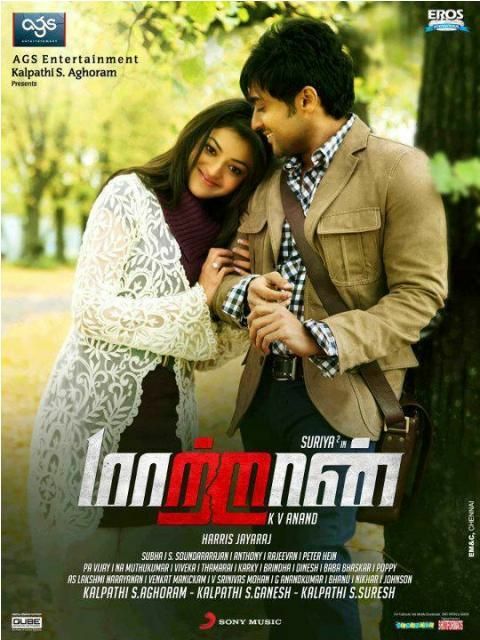 Maattrraan (2012) is a Tamil science fiction thriller film co-written and directed by K V Anand. It stars Suriya, along with Kajal Aggarwal in lead roles while Sachin Khedekar and Tara play supporting roles. This film was declared as above average at the box-office and dubbed in Hindi as ‘No 1 Judwaa – The Unbreakable’. Plot: Story features the struggles of conjoined twins, to protect their father’s flourishing business. With a Russian spy plotting to steal their company’s trade secrets, will the two be able to stop her? Thuppakki (2012) is an Indian Tamil-language action film written and directed by AR Murugadoss. 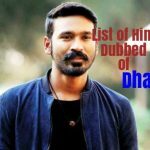 It features Vijay and Kajal Aggarwal in the lead roles, Vidyut Jammwal as the antagonist, as well as Jayaram and Sathyan in supporting roles. The film was a hit and dubbed in Hindi as ‘Indian Soldier Never on Holiday’. Sarocharu (2012) is a Telugu romantic action comedy film directed by Parasuram starring Ravi Teja, Kajal Aggarwal and Richa Gangopadhyay in the lead roles. The film was an average and also dubbed into Hindi as ‘Jabardast Aashiq’. Plot: Sandhya, a student, lives in Italy. She is in love with Karthik and decides to travel with him to India in order to win his affection. But she is taken aback when she learns about Karthik’s marriage. Naayak (2013) is an Indian Telugu-language masala film directed by V. V. Vinayak. The film features Ram Charan, Kajal Aggarwal and Amala Paul in the lead roles. It was a hit movie and also dubbed in Hindi under the title ‘Double Attack’. Plot: Cherry, a software engineer, is about to be arrested for a murder when, in a sudden turn of events, the real killer and Cherry’s look-alike, is caught. When Cherry hears his story, he decides to help. Baadshah (2013) is a Telugu action thriller film directed by Sreenu Vaitla. It stars Jr. NTR and Kajal Aggarwal in the lead roles. The movie was recorded as a super hit at the box-office and was dubbed into Hindi under the title ‘Rowdy Baadshah’. Plot: Rama Rao fails to get a job with the police force due to his father’s connections with a gangster. But when his brother is killed due to the gangster, Rama Rao becomes Baadshah to oppose the gangster. Yevadu (2014) is an Indian Telugu-language action film co-written and directed by Vamsi Paidipally. The film features Ram Charan, Shruti Haasan, and Amy Jackson in the lead roles, while Allu Arjun, Kajal Aggarwal, Sai Kumar, Jayasudha and Rahul Dev play supporting roles. It was a superhit film and dubbed in Hindi under the same name ‘Yevadu’. Plot: Satya is given a different face after he suffers burn-related injuries. After being released from the hospital, he deals with the murderer of his lover Deepti. But his new face has given him new foes. Temper (2015) is an Indian Telugu-language action film directed by Puri Jagannadh starring N. T. Rama Rao Jr. and Kajal Aggarwal in the lead roles. The film was a commercial success and dubbed in Hindi under the same title ‘Temper’. Plot: Daya is a corrupt police officer who works for an influential smuggler. His life changes when he falls in love with Shanvi who leads him towards the path of justice. ‘Maari’ (2015) is a Tamil gangster comedy film written and directed by Balaji Mohan starring Dhanush and Kajal Aggarwal. The film was a hit and dubbed in Hindi as ‘Rowdy Hero’. Plot: A local gangster trying to deal with a gung-ho police inspector develops feelings for his business partner. 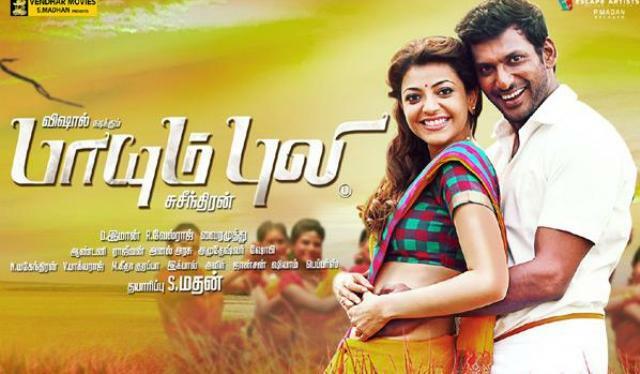 Paayum Puli (2015) is an Indian Tamil action dramatic thriller film written and directed by Suseenthiran. 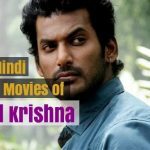 Starring Vishal and Kajal Aggarwal in the lead roles and Samuthirakani, Soori and Aishwarya Dutta in supporting roles. The film was a hit and dubbed into Hindi as ‘Main Hoon Rakshak’. 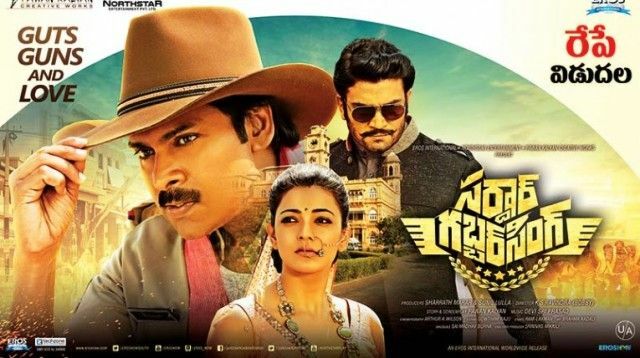 Sardaar Gabbar Singh (2016) is an Indian action-comedy-drama film directed by K. S. Ravindra. Starring Kalyan with Kajal Aggarwal and Sharad Kelkar. The movie was average and dubbed in Hindi with the same name ‘Sardaar Gabbar Singh’. Plot: The residents of Rattanpur are forced to face the wrath of Bhairav Singh, who unceremoniously usurps their land. They find respite when Gabbar Singh, a brave cop, takes on their oppressor.